Come & enjoy the swing and jazz performed by the talented duo Pthalo Blue. With a guitar & double bass, and an angelic jazz voice, it’s the perfect way to top off your weekend. $10 Aperols & Loaded G&T’s!! 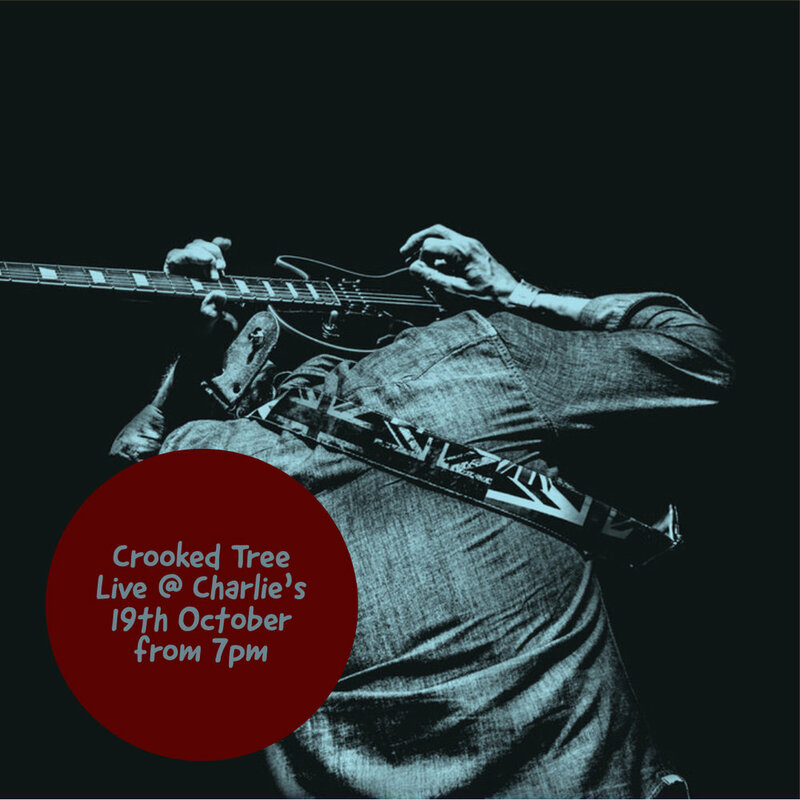 Resident blues duo ‘Crooked Tree’ are back to rock out your Saturday night with some awesome covers and amazing originals. $25 Cocktail Jugs!! In a first for Charlie’s & Paper Tiger, we’re teaming up for a Pan-Asian Street Feast. With delicious, authentic asian food on offer, and Pan-Asian cocktails to pair with, this is a one-off event you will NOT want to miss!! Check out Arlene Fletcher of ‘Finger Pickin’ Good’ as she sends chill acoustic vibes directly to your ears in an intimate Sunday Session setting. $10 Aperols & Loaded G&T’s! Come & check out local 3 piece ‘The Altones’ as they play a range of originals & classics, featuring beautiful harmonies and encapsulating sounds. Come and check out Celtic 4-piece Trì as they set the scene for a St. Paddy’s Day celebration. Irish themed cocktails all afternoon! You can’t miss it! Last time The Cary Bennett Trio were in, it was a super lively, fun night for everyone involved. Get around this very fresh, very jazzy trio with $25 Cocktail Jugs!! Ash Hall Trio bring the silky smooth jazz directly to your ears as you knock back a few $10 Espresso Martinis. It’s a huge weekend of local jazz extravagance, so block out your calendars and assemble the crew. You won’t want to miss this! Top off your weekend with the melancholic folk sounds of Greg Windred, $10 Aperols & Loaded G&T’s!! Jobi Strike is a local creative/actor/funny lady. She will be performing a semi-autobiographical one woman show called "Telling Stories" that is about her addiction to day time television tied in with some stories of adventures she has had. It has been performed at the 2015 Fringe Festival in Sydney, and now she’s bringing her set to the people of Armidale. So join us! At our very first Charlie’s Last Stand Up! Come & check out Angus Keegan’s Charlie’s debut while we see the weekend out, with $10 Aperol Spritz’s & $10 Loaded G&T’s! Matt Nolan is one of Armidale’s most talented guitarists, who always impresses with his technical instrumentals. Come and enjoy a lazy Sunday afternoon with some $10 Spritz’s and relaxing live music. The Ash Hall trio play jazz classics with an emphasis on improvisation and fun. Dean is an extremely talented blues musician, and he will be gracing us this Saturday the 2nd of February with a set starting from 7:30pm. 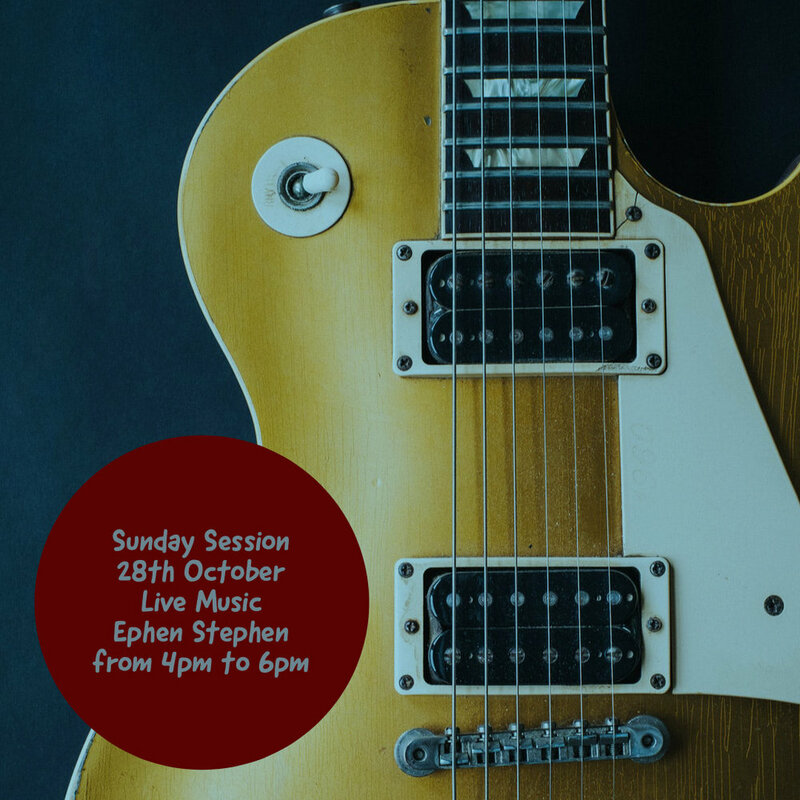 Join us for an acoustic Sunday Session, with an array of folk/rock covers and originals from local musician Greg Windred.